Only days after the Archdiocese of Philadelphia announced its new compensation program for victims of sexual abuse by archdiocesan clergy, 342 people have already received information about the Independent Reconciliation and Reparations Program. 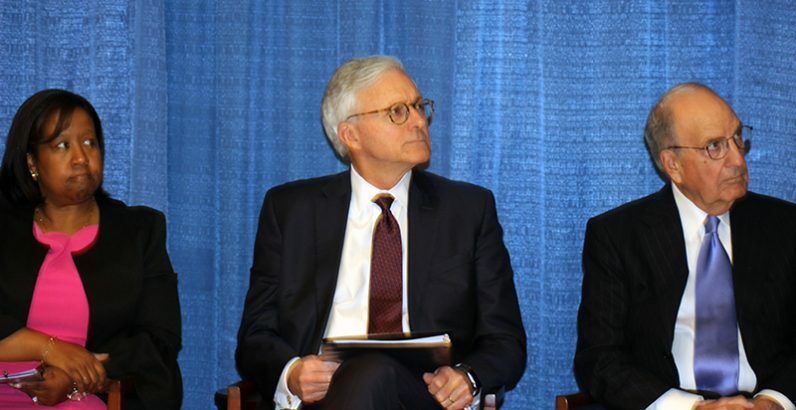 Former U.S. Sen. George Mitchell, chair of the Independent Oversight Committee that also includes former Philadelphia interim District Attorney Kelley Hodge and retired federal Judge Lawrence Stengel, described the protocols of the program that was announced by Archbishop Charles Chaput Sept. 8. The 342 people have previously been known to the archdiocese, and they were notified to inform them of the independent program and its procedures for making a claim. Victims of sexual abuse at the hands of a priest of the Philadelphia Archdiocese – not including a member of a religious order – who have previously reported their abuse to the archdiocese have until Sept. 30, 2019 to file a claim with the IRRP through the website https://www.PhiladelphiaArchdioceseIRRP.com/. After providing their name, contact information, a summary of the abuse, the dates, location and name of the perpetrator, program administrators review the information then mail a packet and claim form to the claimant. Those who have not previously filed a complaint have until July 31, 2019 to file their claim. At that time the unreported allegation of abuse will be sent to the Philadelphia District Attorney and the archdiocese for investigation and possible criminal charges. Any priest or deacon currently in ministry who is named in such an allegation would be subject to existing archdiocesan policies, including an investigation and consideration by the Archdiocesan Professional Responsibility Review Board, which advises the archbishop on suitability for ministry. IRRP administrators said that if an abuse victim is eligible for compensation, the circumstances are carefully weighed and a compensation amount is arrived at and offered to the person within 90 days. If accepted, the claimant then must employ a personal lawyer or receive pro bono legal services (free of charge) with advice on signing a form to waive all past and future claims for the abuse. Claimants would be free to refuse the compensation award and seek redress through the civil courts if they wish. 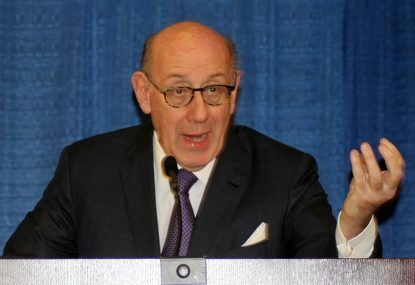 As to how the administrators determine how much money to offer claimants, Feinberg called the process “solomonic” – they use their best wisdom to assess the individual’s circumstances, past and present. “We try to determine the dollar value that the claimant will accept,” he said. After reviewing all the files for each individual case, “we make a final determination on a reasonable amount” of compensation for a victim, she said. Biros explained that the program period runs from Nov. 13 through Sept. 30 of next year, and in that sense it is a “one-time” program. But it may be subject to extensions in time. Former U.S. 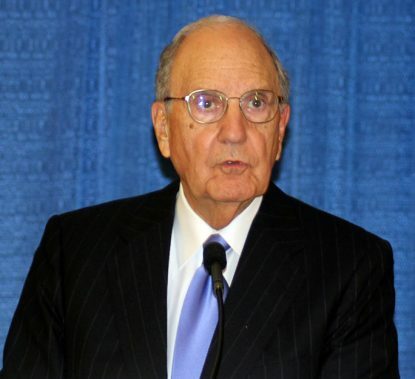 Senator George Mitchell, chair of the Independent Oversight Committee. 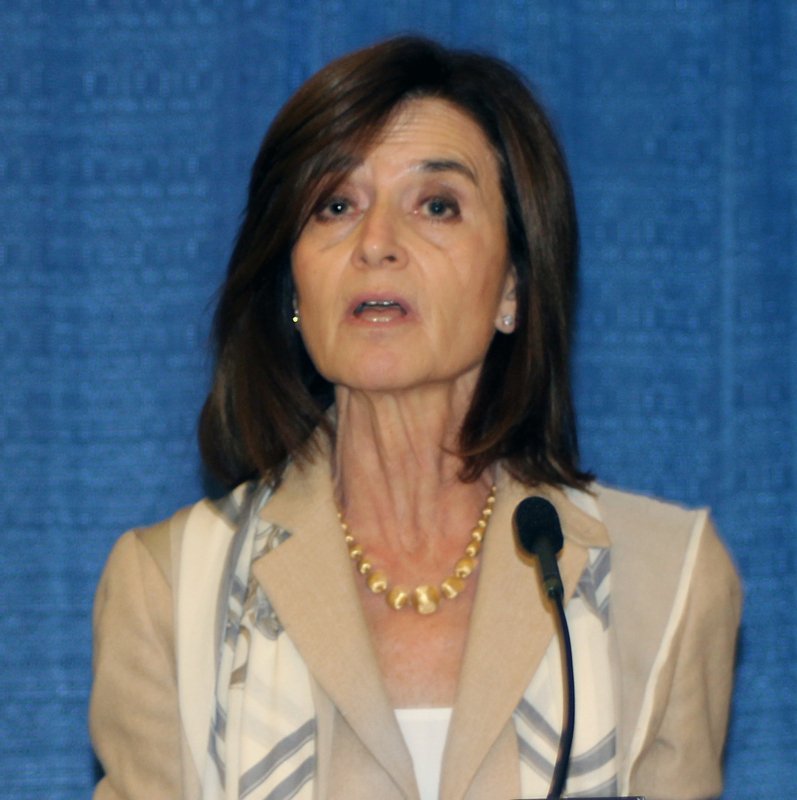 In his remarks, Mitchell repeatedly emphasized the independence of the program to any influence outside the oversight board or the administrators – especially from the Philadelphia Archdiocese or politicians. While he faulted “the failure of the archdiocese to prevent these unspeakable crimes, the archdiocese has itself recognized there is a need for reconciliation and reparation after many years of suffering by these victims,” Mitchell said. He added that abuse victims participating in the claims process will have the assistance of Shiner, an advocate of crime victims in Pennsylvania, plus complete confidentiality of the information they share with the administrators. Mitchell said there would be no monetary cap on the amount of compensation offered to victims, either in the aggregate or for individual claims. The archdiocese has pledged to make available resources “for whatever it takes” to compensate victims, and the board’s decisions are final and “subject to no appeal” by the archdiocese or anyone, he said. Feinberg and Biros have decades of experience in running victims’ compensation programs including the September 11 Victim Compensation Fund and similar funds concerning the Aurora, Colorado shooting and the BP oil spill. Significantly, they also ran the compensation program for the Archdiocese of New York, which reported in late 2017 that 189 eligible survivors of clergy sexual abuse from more than 200 initial claims had received some $40 million since the program was launched in 2016. While the archdiocese had not said how much it is making available, it is pledging to make good on all claim awards. The funding will come from unspecified “existing archdiocesan assets,” according to a Nov. 8 statement from the archdiocese. More money as needed “will need to come from borrowing and the sale of archdiocesan properties,” the statement said. Other Catholic dioceses in Pennsylvania have recently announced the formation of independent victim compensation plans similar to the archdiocese’s. The dioceses of Harrisburg, Erie, Scranton and Greensburg also have retained the services of Feinberg and Biros to administer those programs. I just don’t see how the families of those who have committed suicide including a brother of mine due to sexual abuse by Catholic priests can ever be compensated for the tragedy having been overlooked for so many years. These are human lives who told about what was happening to superiors. Such crimes gone unpublished. Thank heaven God has taken a perpetrator to Limbo where his soul will never get into heaven or hell.